Calling all curly girls! With the temperature quickly cooling down, you’ll want to look your best and treat your curls with the love and care they deserve. Winter can be stressful on your hair, especially curls, forcing you to make changes in your hair-care routine. 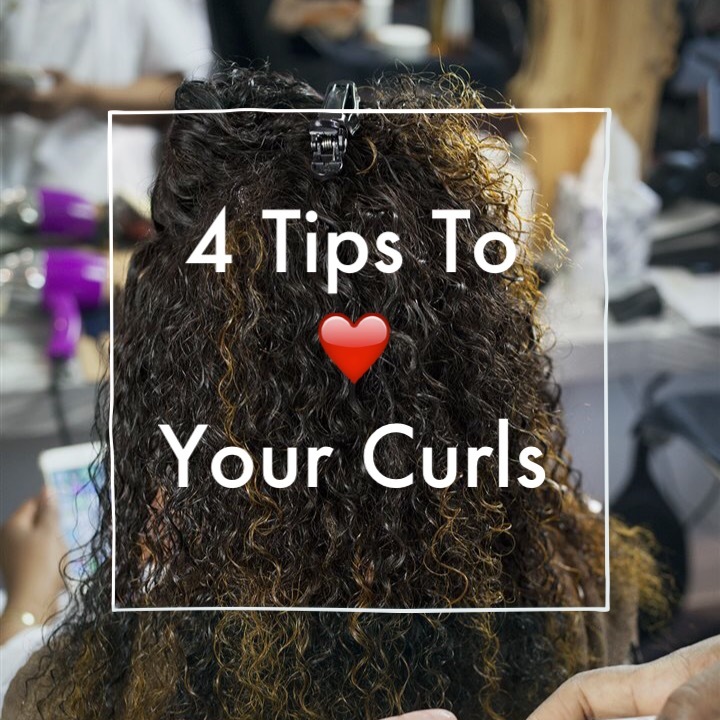 Because no two curls are the same, I’ve got Cynthia Alvarez, Dove Hair celebrity hairstylist, on the blog to share four important tips to keep in mind this winter season and continue to #LoveYourCurls. 1. Hydration is key. Winter can be stressful on curly hair as the air contains less natural moisture than the warmer seasons. This tends to cause more dryness than usual, which combined with the customary static, creates a lot of frizz. “Wash your hair with a nourishing hair care system to help eliminate frizz, like Dove Quench Absolute. After gently cleansing with the nourishing shampoo, increase manageability of curls for a smooth finish with the Dove Quench Absolute Conditioner,” says Alvarez. 2. Avoid using regular towels. Cotton towels cause friction and frizz on your hair. Alvarez recommends using a microfiber towel to remove the excess water before starting the styling process. “Opt for a microfiber towel to remove excess. This simple item helps the hair dry faster and the curls to obtain more definition,” she says. 3. Nourish from root to top. The social schedule often can be hectic, packed with travel and numerous activities. However, nourishment should remain at the top of the holiday beauty list. 4. Sleep on the right pillowcase. Maintaining your do and defined curls overnight can be challenging if the proper precaution is not taken. As you sleep, hair can become frizzy and dry, as many forget nighttime care is almost as important as any other steps of care process. To see additional information on #LoveYourCurls, visit dove.com/LoveYourCurls.